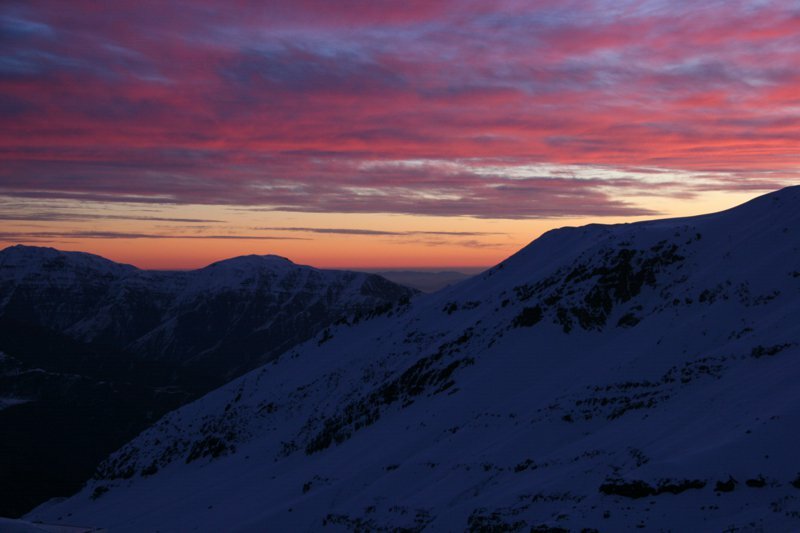 As winter ends and spring turns to summer, most of us begin to think about next winter. But for some of us, next winter is only a month away. 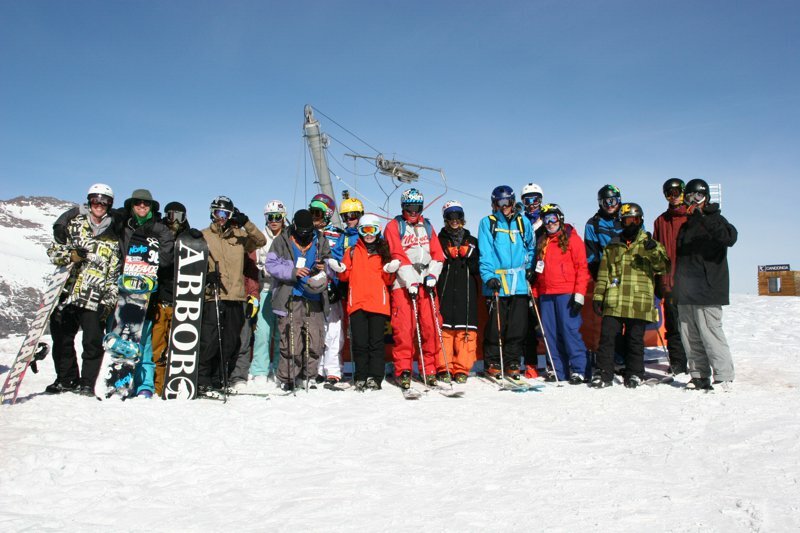 &quot;Summer&quot; is relative considering it is mid-winter down here in Valle Nevado, Chile, and the first session of Evolve Chile has just wrapped up. 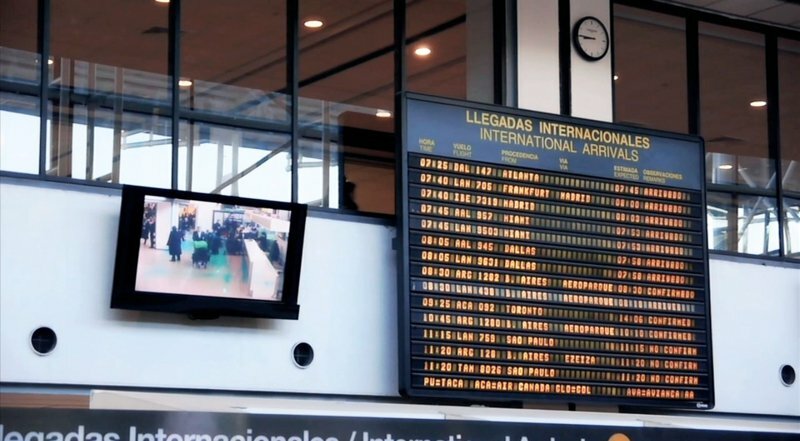 The Evolve Staff was up early at the Santiago airport to welcome the first set of campers to South America. After gathering most of the kids we went on an adventure through the hills to find our last camper.&nbsp;Once we got on the road the campers got pretty quiet as we began our accent into the Andes. It&rsquo;s nothing short of amazing every time I see the mountains here. 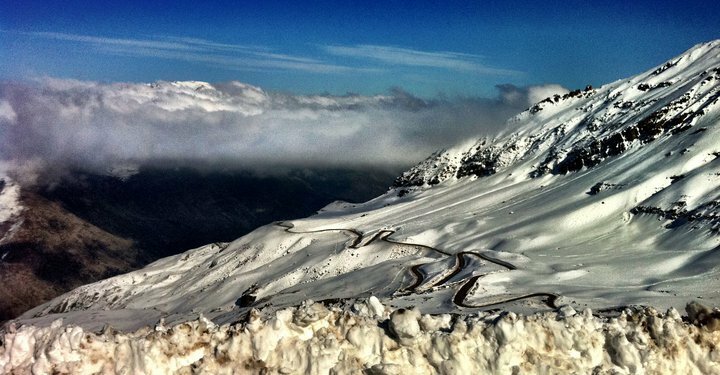 We made our way to our hotel at Valle Nevado, and before we could even check into our rooms, everyone was tearing into their ski bags ready to get on some snow. We went out and got a lay of the mountain and rode until they closed the lifts. The next few days the campers got to know their coaches and started working on everything they wanted to learn. 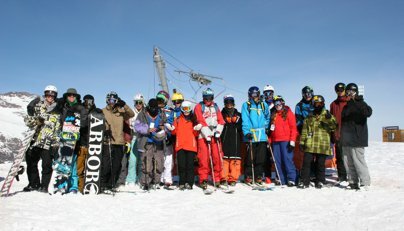 This season Armada athlete Alex Bellemare came down to coach and teach campers every trick in the book. Everyone took advantage of getting as much park skiing in as they could before we received our first storm of the session. Alex teaching a camper to ride a box. 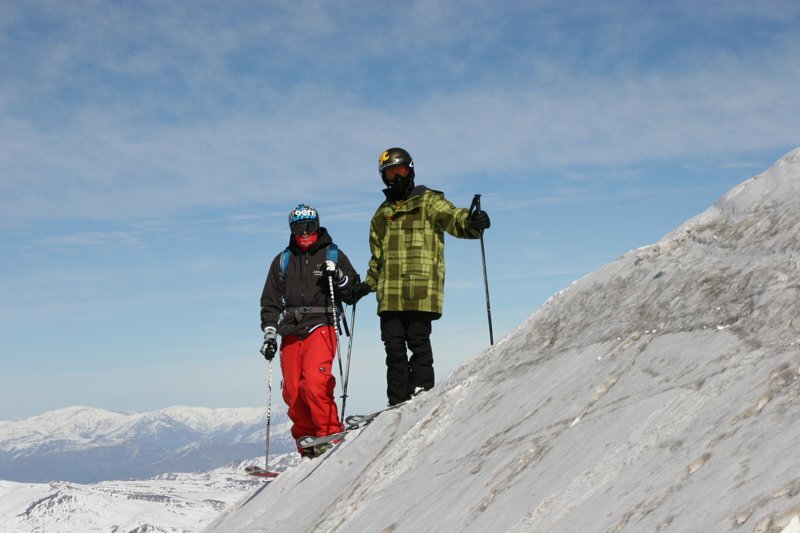 KC Deane and a camper high atop Valle Nevado. Wind lips, natural hits, cliffs, everything you could imagine is all there waiting to be ridden. Three days into the first session we woke up to find it dumping snow outside, and not only was it snowing, but we got 18 inches instead of the four they forecasted. Needless to say, we were all excited. The storm broke around 10 am and became a bluebird pow day. Campers were trying all sorts of new tricks and jumping off of everything in sight. 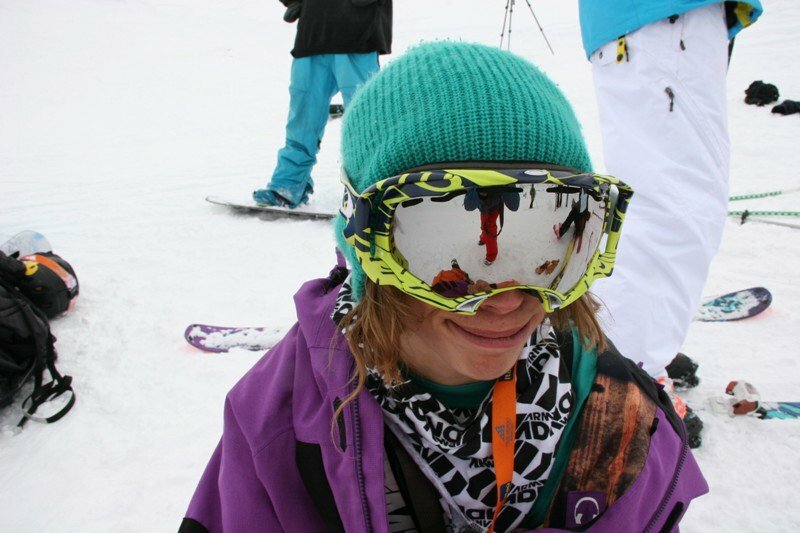 We had campers learning&nbsp;new tricks, from hand drags to backflips and front flips, as well as getting white roomed in some of the deepest pow I had seen since mid-winter. A camper shredding some pow&hellip;in July! 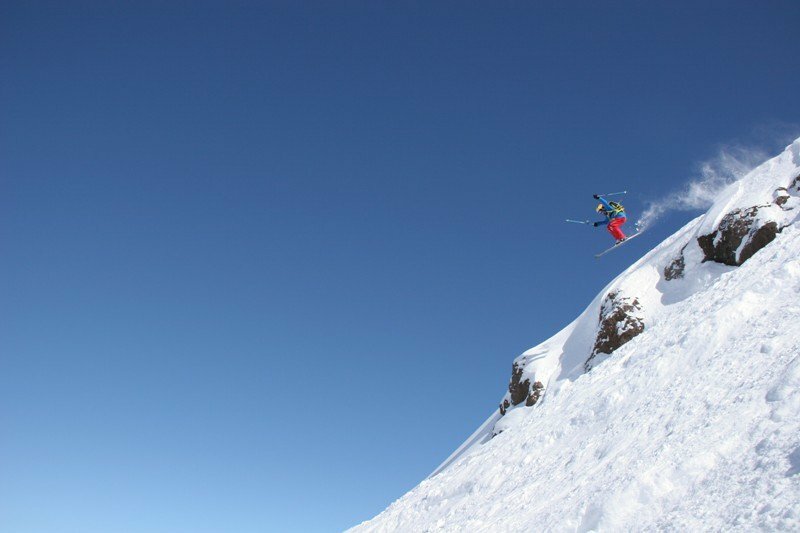 KC Deane sending a cork 3 off one of the many wind lips at Valle Nevado. Campers just right stokered out! Gavin tees up a cliff drop. 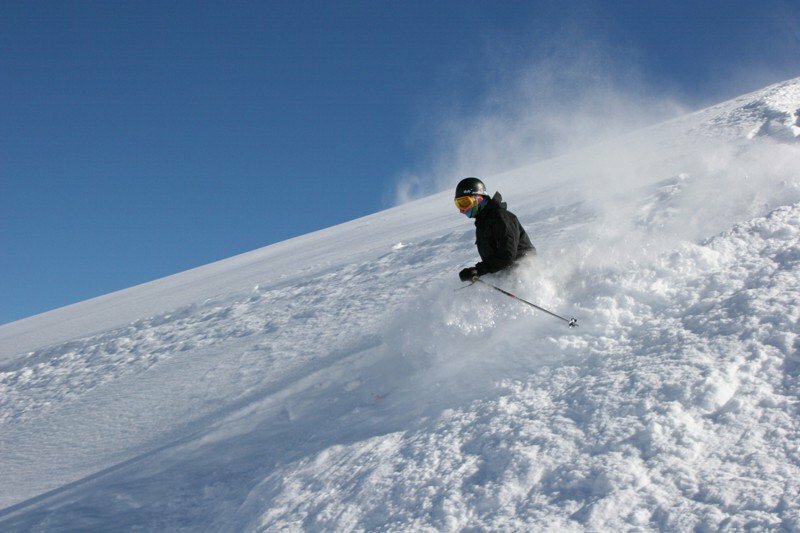 One of the nice things about skiing here is the lack of local skiers that actually ski/ride powder. Not to mention that most of time it snows, they close the road and it turns into an inter-lodge day. 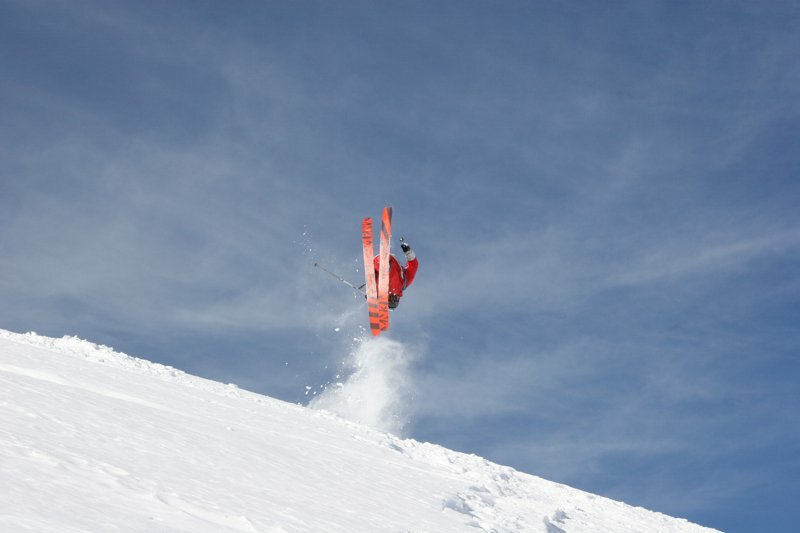 Even days after the storm we were still skiing fresh lines and building jumps so campers could work on new tricks. 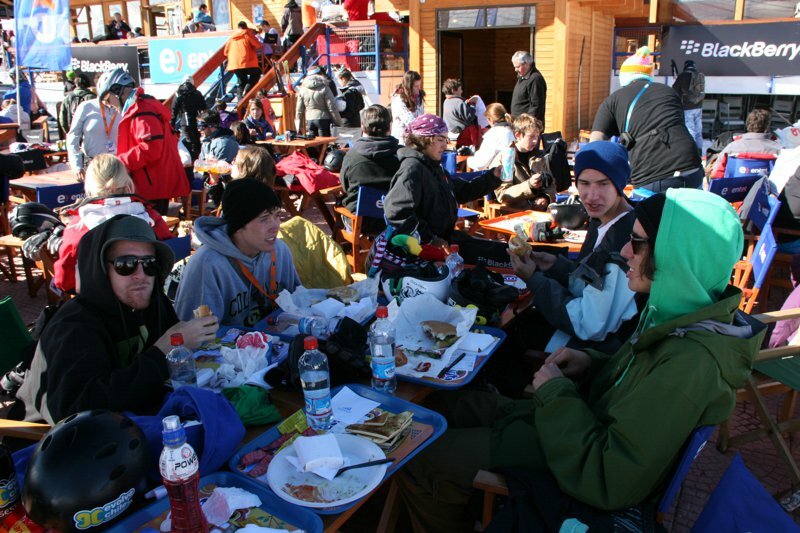 The campers chow down some lunch in between pow laps. Face lick! This camper was stoked. 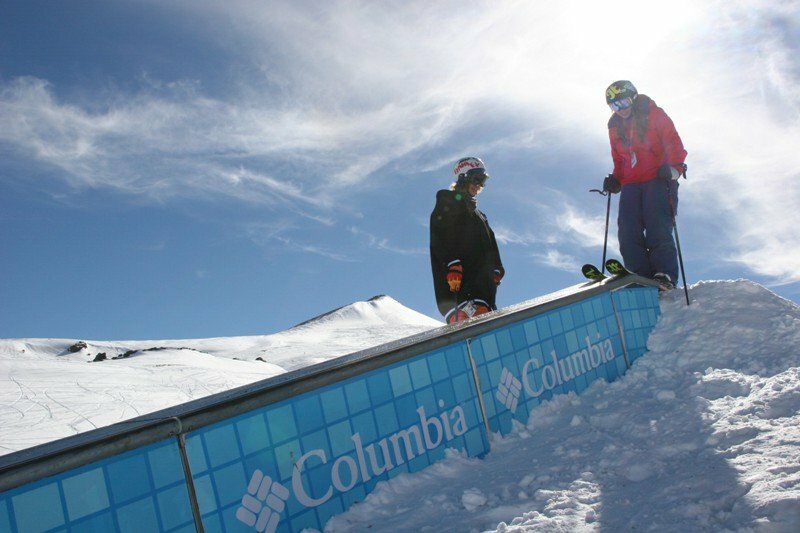 In addition to all the skiing, this year Evolve Chile has a new mini-ramp to add to the apr&egrave;s ski fun, where coaches Alex Bellemare and pro snowboarder Curtis Woodman have been tearing up the ramp with the campers on a daily basis. 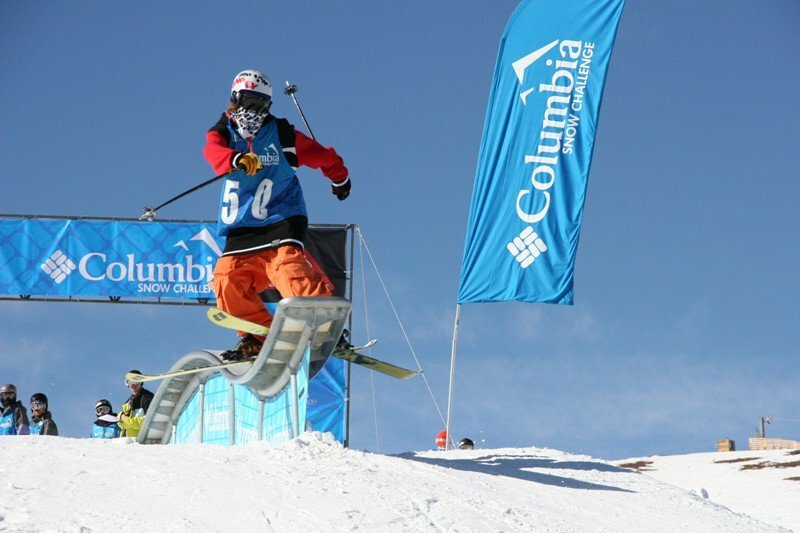 Also new this year for Valle Nevado is a recreation center, where campers have the opportunity to battle the local Chileans in indoor soccer tournaments, ping-pong, rock climbing, foosball and all sorts of activities. Before we knew it the nine days were up, and the campers were packing their bags and heading back to Santiago bound for North America. The entire Evolve Chile staff was bummed to see everyone go, but just as they left new campers arrived for another awesome session of camp! Evolve Session Dos 2011 from Evolve on Vimeo.